Detox diets are sold as a way to remove toxins from the body and clean out the intestines, according to the Mayo Clinic. The diets aren't always meant for weight loss, though you may drop a few pounds due to the restriction of calories. It's important to consult with your doctor before starting any new diet since each comes with its own set of potential dangers and side effects. Understanding these possibilities can help you and your physician choose the right detox diet for you. Toxins come from several sources, including certain foods and drinks as well as environmental exposure. The kidney and liver naturally detox your body, notes Joanna Dolgoff, M.D., author of "Red Light, Green Light, Eat Right: The Food Solution That Lets Kids be Kids," in the Huffington Post. That means you don't necessarily need detox diets to help cleanse your system and get rid of toxins. However, the poor diets of many Americans can hinder this detox process, which often leads someone to feel better on a detox diet. This is likely because that person is eating whole foods and eliminating processed and fast foods, adds Every Diet. Naturally, if you spend a few weeks making better food choices, you'll have more energy and may notice that your skin and hair looks better. However, detox diets aren't without risks, despite how good they might make you feel. Most detox diets severely restrict food intake, and some even require fasting, according to the Mayo Clinic. This can result in vitamin and mineral deficiencies if the detox diet is followed for too long. For example, detox diets are often very low in protein, which can leave you feeling tired and lethargic. You may not have the energy to exercise, which can actually result in weight gain. At the same time, these deficiencies can lead to other health issues, including anemia and dehydration. In addition, a detox diet can slow the metabolism and lead to weight gain once you return to a normal eating pattern, notes Harvard Health Publications. You may drop some weight during the detox due to restricted calorie intake, but it will likely pile right back on when you increase the amount of calories you take in on a daily basis. While not all detox diets are the same, some are much more dangerous than others. With so many on the market, it can be hard to discern which ones are a good choice and which ones to stay away from. Vanderbilt University experts recommend watching for diets that carry outrageous claims or are super restrictive, such as the following. Rapid weight loss is a term to be wary of. It's not safe to lose more than one to two pounds per week, says the Centers for Disease Control and Prevention. Losing weight too quickly means you may lose water weight, muscle mass and bone density in addition to any fat that melts off. Avoid a diet that claims that no exercise is necessary. The bottom line when it comes to weight loss is to burn more calories than you consume. That's best achieved by combining a healthy diet with plenty of physical activity, according to the CDC. A detox diet that requires a style of eating you could never keep up is one to stay away from. A healthy body with internal organs that effectively detox your body is dependent on a well-balanced diet. If a detox plan is liquids only or requires only eating a small number of specific foods, it's likely a poor choice. All that being said, there are certain detox diets that have been proven to be dangerous or to produce scary complications. The experts at Fitness magazine strongly encourage you to stay away from the following popular detox diets due to dangerous side effects, ineffective results or lack of scientific evidence of its safety. The Master Cleanse/Lemonade Diet is highly restrictive and could put unnecessary stress on your digestive system. The diet also forbids any solid food for ten days, which could leave you deficient in nutrients, weak and lethargic. The Liver Cleansing Diet is dangerous because it advocates taking special pills for liver problems. However, someone with health issues involving the liver should be under a doctor's care and shouldn't self-medicate. Additionally, the herbs in the pills could interact with other medications. The Martha's Vineyard Detox Diet is very dangerous as it forbids any solid foods for three entire weeks. At the same time, the plan utilizes enemas and colonics. The combination of these treatments and the low intake of calories and lack of real food poses the risk of dehydration and nutritional deficiencies. Despite the dangers of long-lasting detox diets, there is a benefit to them, provided they are followed carefully and under the care of a medical professional. According to dietician Keri Glassman in a CBS interview, following a detox diet for a couple of days is an easy way to get you into the healthy eating frame of mind. A detox diet can jump start healthy eating choices and give you the tools to do so quickly. After a couple of days, you'll be set to find and prepare nutritious foods that support your body's natural detoxification process. However, it's important to choose a detox diet that promotes eating healthy foods instead of subsisting on liquids for days at a time, advises Glassman. The following foods are ideal for a detox diet. These items are full of the nutrients your body needs to support healthy liver and kidney function, so your body is able to detox on its own. While short-term detox diets can be beneficial, they aren't appropriate for everyone. The following groups of people should avoid detox diets, according to Dolgoff. If you fall into one of these categories, talk to your doctor about other ways to make healthier choices. Children and teens should never do detox diets because adequate protein, nutrients and calories are needed for proper development. Detox diets can interfere with emotions and energy levels in kids. If you have a health condition, a detox diet may be detrimental. Diabetes, heart disease and eating disorders are some examples of where a detox diet can exacerbate symptoms and interfere with proper treatment. Pregnant women should avoid detox diets. A growing fetus needs plenty of nutrition for proper growth and development and restricting food intake can put both mother and baby in danger. The research on detox diets is scant. That means there isn't a lot of information about their safety and effectiveness, according to the experts at the HCA Midwest Health System Research Medical Center. The studies on detox seem to center of drug and alcohol detoxification with very little evidence regarding environmental detox, such as is claimed by these types of diets, adds the British Medical Bulletin. However, there is plenty of evidence that a healthy diet is the best way to protect all aspects of your health, including your liver and kidney function. The Choose My Plate program encourages you to eat a variety of healthy foods from each food group. This ensures that your body is getting adequate amounts of all the nutrients your body needs. Certain detox plans may restrict dairy and meat intake, but once you complete the regimen, it's important to add them back to your diet. The following food groups have a place in your daily meal plan. Whether you opt for a detox diet or not, it doesn't have to be hard to make the right choices. 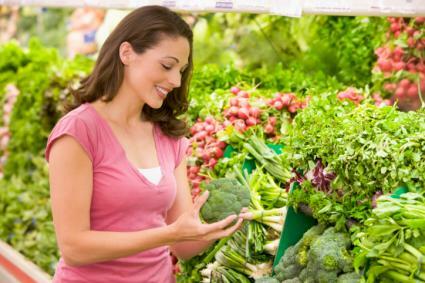 A detox diet can jump start your goal to choose nutritious foods that help you feel great. Balance your indulgences with healthy choices and make sure you fuel your body each day with a healthy mixture of calories and nutrients. That means limiting alcohol, caffeine, fast food and processed foods and opting instead for whole and fresh foods. With time, you'll get better at making these choices and will begin to notice that you feel better on a daily basis.